F Scott Fitzgerald eulogised about the colours of the sea and the sky here on the Côte d’Azur where he stayed to write The Great Gatsby. Visiting in June you could see why. The mimosa in full bloom in beautiful Place Garibaldi, the little red roofs of the villages around the Golfe Juan provide a stunning tapestry of colour set against this vibrant pallette of aquamarine and lapis tinted bay. 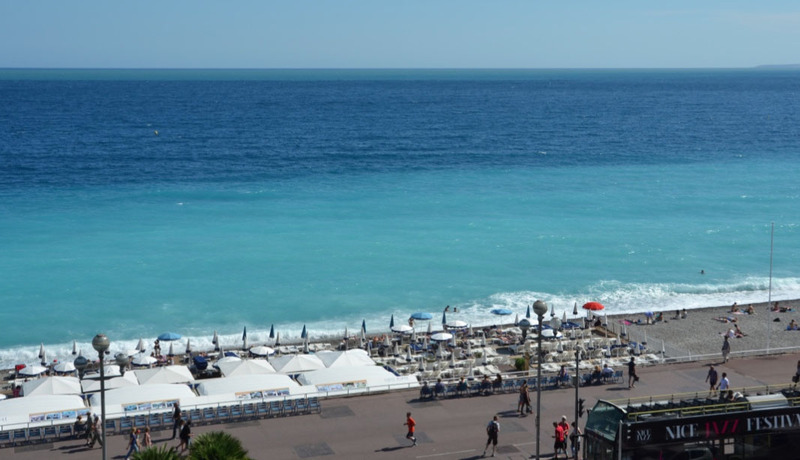 There is so much to do and see in Nice and on the Côte d’Azur from parks and gardens to architecture to art galleries and theatre. The music scene is as cool and varied as the shopping and includes the annual Jazz festival on Golfe Juan. The shopping is out of this world and includes everything from the weekly bric-a-brac market through serious antique and collectables to every top designer label under the sun if you go down the coast to Cannes. 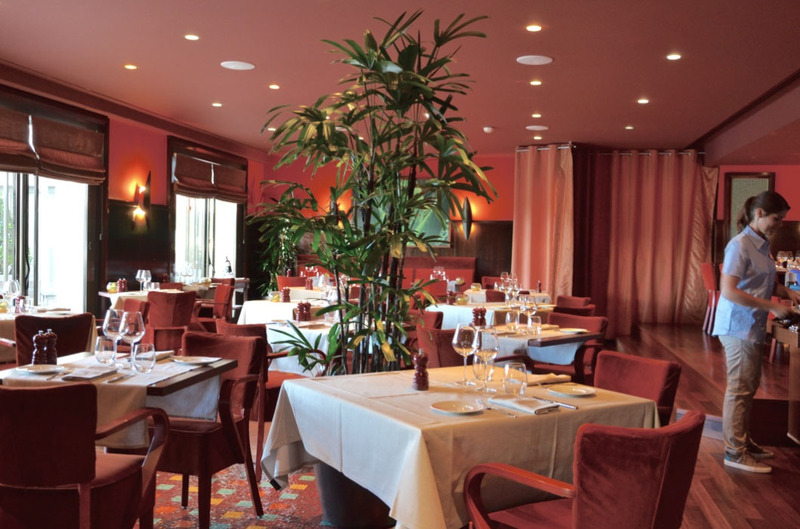 Le Palais has been at the centre of life on the Promenade des Anglais, Baie des Anges for almost a century. It has been a glittering ballroom, and a casino before its rebirth as a luxury hotel. Everyone who was anyone during France’s golden age of culture has stayed, played or performed here, from Edith Piaf to Yves Montand and Johnny Hallyday. Remodelled and reopened as a hotel in 2004, le Palais retains its Art Deco, classically inspired façade. Within the shell though, there now exists a separate world of luxury befitting its prime location on the Côte d’Azur. 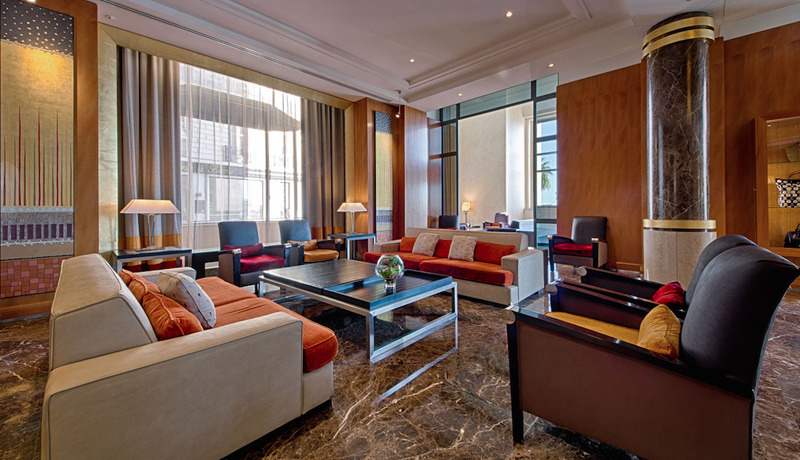 Beyond the beautiful and cool lobby lies an excellent hotel in one of the world’s premier locations. We spent a weekend assessing the hotel in late June as the high season was getting underway. So, what of the hotel? There are two designs apparent in the guest rooms at Hyatt Regency Nice. Both are contemporary takes on the Art Deco origins of Le Palais but they have separate designers. We liked the warm tones of the fabrics in the slightly older design which are a little richer than the more northern European and slightly spare designs in the other, more recently refurbished rooms. At 45 sqm the Deluxe King is a generous room. There are sea view and city view rooms and really, a sea view is a must here so be sure to specify. We would also recommend asking for a high floor (9th is highest and best) as the facade impedes the view of the sea more on lower floors. All sea view rooms enjoy a balcony which is just the best place in the world for breakfast. 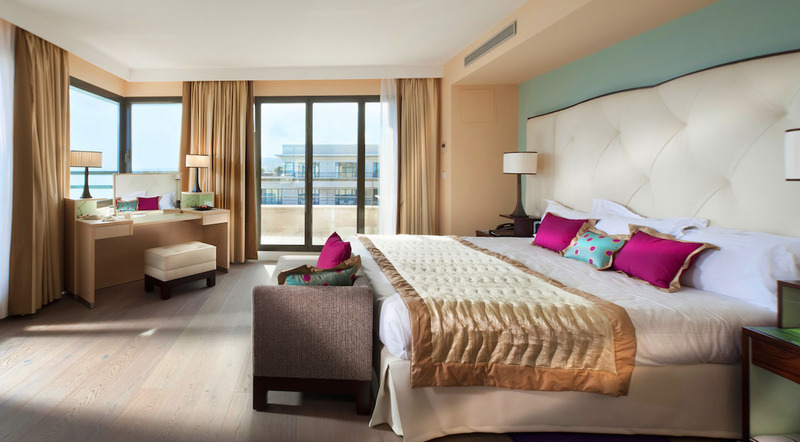 There are some amazing feature suites and the 9th floor suites have terraces with stunning panoramic views. In-house dining options here are simple. There is one bar/lounge and a restaurant adjacent to the terrace on the third floor. When the weather allows, which is often, this is one of the best views you’ll find from a hotel poolside terrace bar. The colour of the bay is simply magical and the terrace is serene beneath the arches of the Art Deco façade. 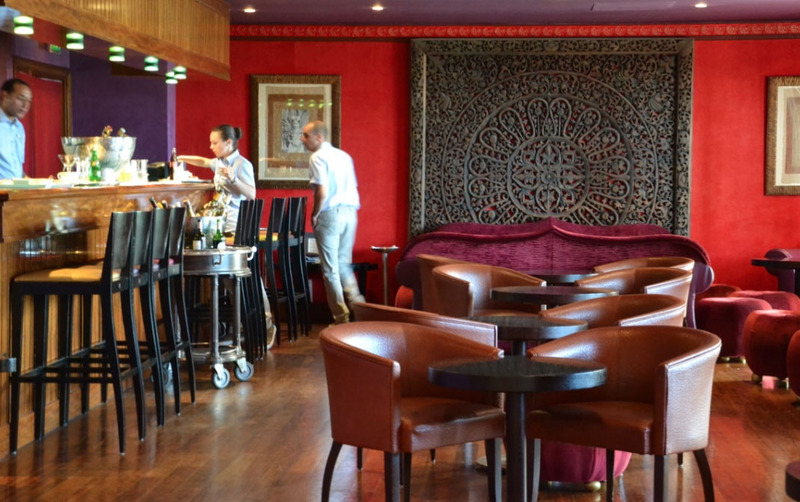 Inside, the restaurant is beautiful and its warm tones create a cosseting ambience perfect for romantic evenings. The indoor bar is equally atmospheric and a perfect place to enjoy Champagne and canapés any time of day. As there is no Regency Club here, diamond members of Hyatt Gold Passport staying receive a complimentary drink with a generous limit – we chose Tattinger bubbles. In terms of leisure facilities, Hyatt Regency Nice has a very pretty terrace at the third floor level. It houses a large free-form swimming pool which is part indoor and part outdoor with a communicating channel so that you can swim between the two. The outdoor pool terrace and bar is a very cool place to sit and sip Champagne and cocktails, overlooking the promenade. There is also a fitness room equipped with good quality equipment, although it is quite small. When we viewed it there was only one person using it and it is fine by general 5* hotel standards. 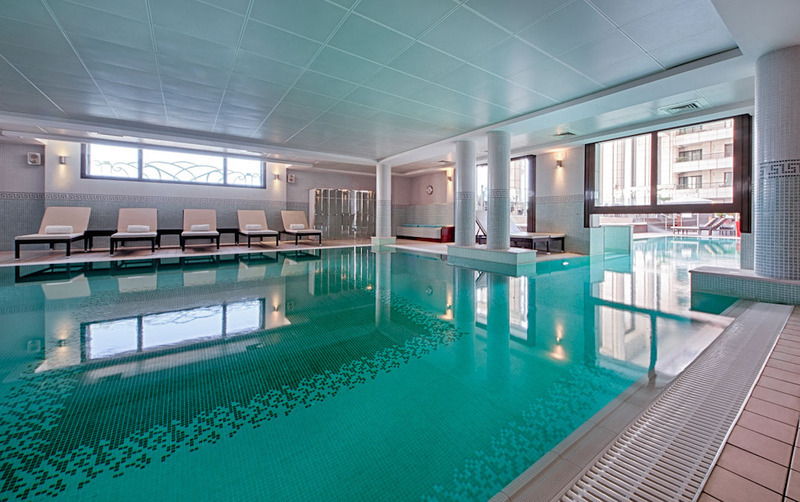 Separately located on the third floor is a sauna and steam room (not a Hammam as the hotel claims). It was strange that these were tucked away here and we can’t imagine many guests using them. Having expected a Turkish-stlye Hammam we were disappointed. As the hotel is branded as a Regency (one of Hyatt’s lower categories) we had modest expectations. We were very surprised, indeed delighted both by the hotel’s location, the rooms, the service standards and Nice as a destination. We are not misty eyed Francophiles. We generally like northern European culture and South East Asian standards of service and are irritated by the gallic shrug and insouciance. The fact we fell in love with Hyatt Regency Nice and the city of Nice in general therefore speaks volumes. We have already booked our next visit. Need I say more? That is not to say there were no issues with our stay. Negotiating a late-check out was a tedious affair and required chasing on our part, the lack of even a simple kettle in the room was disappointing and the room service dinner seemed overpriced (admittedly we ordered off-menu but 26 euro for a chicken breast seems very high and was more than almost all whole meals on the menu – we had to pay extra for salad and fries). 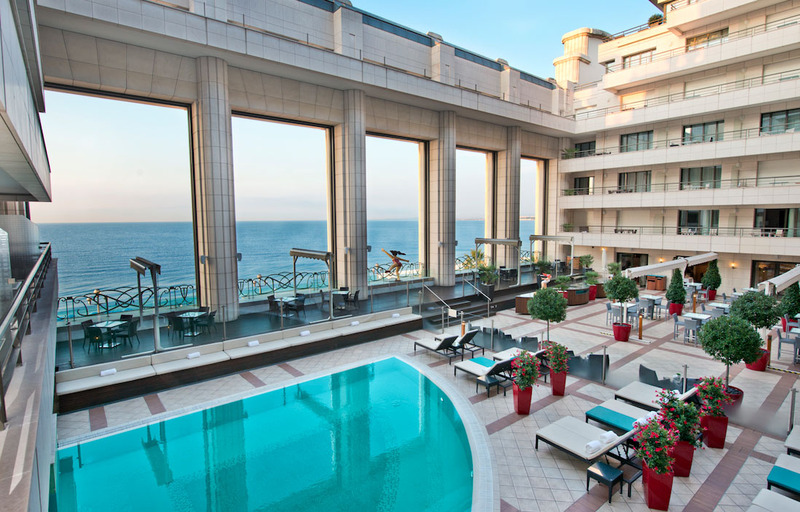 However, the setting of the hotel in the lovely city of Nice is the perfect location for a weekend away and there are plenty of decent bistros a short stroll away. It looks as though we’ll be spending a little more time in France over the coming years. Read my latest Hyatt reviews and news including Andaz reviews, the upcoming Park Hyatt Mallorca, the Hyatt Regency Hua Hun, The Andaz Papagayo, Park Hyatt Vienna and the Andaz Tokyo.